This is the second blog in our tax strategies series. Today I’m going to discuss some incredible ways that exist to help lower your taxes. Now I know this subject isn’t the most entertaining for most people, so I won’t go into deep detail. But, I think it’s an important topic if you want to lower your taxes. So I’ll give you enough so that if you wish to explore it further you’ll have something to go on. So let’s get started and look at 6 ways to lower your taxes. One of the things Amanda and I love to do in our spare time is travel. So this first tidbit was one that fit right into our lives; by investing where we travel. 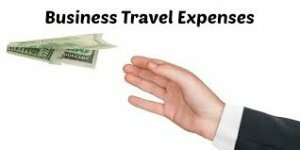 As long as the primary purpose of the trip is business, ALL expenses including hotel, airfare, meals etc. can be deducted. We spend more time doing business than recreation. This isn’t hard when you’re real estate investors. We are always looking for new opportunities. Our motto here at Simple Acquisitions is smart and simple. Let’s look at just the “smart” part for a second. Anybody can buy a piece of real estate and collect the rents! But how do you do it to take advantage of ALL the other benefits that real estate has to offer? Let’s start with the asset’s title. We’ve researched the best way for us to hold title to each one of our properties and for us using an LLC allowed us to be able to choose how we were taxed, since LLCs are flow through entities. The next easy yet profitable thing we learned to do was to convert some of our personal expenses into a business expense. As soon as you make something an allowable expense you’ve earned that money and made it tax free. You’ve easily sheltered a portion of your earnings that you don’t have to pay taxes on. It must be necessary to generate money. Deducting meals and entertainment will help bring down your taxable income. You can apply this rule even if you’re having dinner out with your spouse. If your spouse is also your business partner, and you are discussing business before, during or after your dinner, that qualifies that expense to be a business deduction. So start treating your investing activities as a business, so that this and other expenses can be allowed and you’ll effortlessly lower your taxes. For those of you who have families, this is an easy and immediate way to cut your tax bill. Put your kids to work in your business. 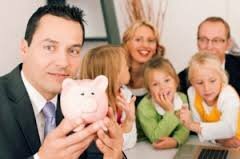 It will allow you to shift some of the income from your high tax bracket to a lower tax bracket your kids are in. This strategy can also be used for those of us who have elderly parents who have retired and are in a lower tax bracket. You can include them in your tax planning as well. This next tactic is more of an administrative item. Document everything!! I you’re planning on using an expense as a deduction you have to be able to demonstrate that it meets the three tests we discussed above and you’ll want to write on the receipt, who was there and the purpose of the meeting. Amanda does this with every receipt. She also scans them all so we also have electronic copies of everything. Documenting everything will not only help you file your income tax returns at the end of the year, but it will also allow you to know exactly what are your earnings and expenses. Then you can make informed decisions throughout the year on your investments. The next approach we’re going to discuss is tied into the greatest advantage of investing in real estate, depreciation. Actually if you’re not already investing in real estate this one advantage alone is well worth your while to start. Cost segregation is the mechanism to make that all happen for you. In order to be able to depreciate your property you’ll have to have either a professional engineer or a CPA do this study. They will in essence sever the property into four different pieces on paper only of course. This is how your property will look after the segregation study. Instead of it just being a property with one lump sum value, it will be separated into four parts each with its own value and rate of depreciation. You’ll first have the land, and of course that part does not get depreciated. Next you’ll have improvements that were made to the land, such as landscaping and fencing and the asphalt driveway. Then of course there is the building itself. Finally there is the chattel inside of the building. These are things that are not essential to the operation of the building such as floor coverings, window treatments, the cabinetry etc., but they will be allowed to be depreciated faster. This gives you an even higher depreciation amount. 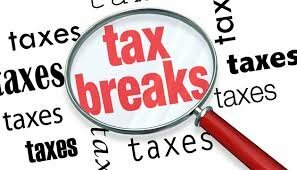 I don’t want to overburden you with what most people consider a very dry subject so I’ll save some of the other strategies for the next blog in our tax strategies series. Next time we’ll discuss a few more things for you to consider in helping you lower your tax bill. If you would like more information about ways to lower your taxes, or would like to see how you can get involved in one of our opportunities, drop us a line! We want to hear from you. Our contact information along with more details and some great educational material can be found here on our website.